Some school children might enjoy the security of their parent’s taking a NY defensive driving course as well as dropping them off at school, while others can take leisure in riding the school bus. However, in New York City, some school children won’t have the same sense of safety. While others are being driven to school, these NYC kids will be dodging speeding cars, thanks to an ending legislation. Soon, some school zones could be experiencing hazardous traffic that ignores the speed limits around educational facilities. This will put children attending the school in danger, because of the increased risk of collision. So, what’s going on with the NYC school zone speed camera update? A program that provided school zones with speeding cameras is coming to its screeching end. The speed cameras kept drivers from driving over the speed limit, which placed pedestrians, predominantly children, in danger. The reason why the cameras are being suspended is because the senate failed to pass a legislation that would renew the program. Just like that 9th grade English essay you put off until the last minute, this too has failed. This, like most things is causing a political divide amongst Democrats and Republicans in New York City. With the cancellation of the camera program, people are concerned about the safety of their children. Even mayor Bill de Blasio stepped up to provide his input on the failed legislation renewal stating, “Kids will be in dangers. Kids will lose their lives.” This opinion is echoing the fears of parents across the city. Now, this issue has turned political. Last week, de Blasio surprised many by becoming a strong voice of the people by chastising the Republican senate for their delayed actions to pass the legislation. Perhaps it’s because he too is a parent himself and feels connected to the event. Since then, restless protestors have been taking the streets to show their anger on the failed sense of priorities shown by the senate. The organization “Families for Safe Streets” has been organizing protesters to encourage senate to act about the security of school children. Some protestors became so rowdy they were booked by the police. Nearly “10 protesters were taken into police custody following repeated warnings after they blocked Third Avenue while holding up a banner that read ‘Children are going to die!! Shame on you Felder,’” reported Crain’s. Republican senate wants to use the revenue collected from speeding fines to place more police in the schools. This idea is heavily opposed by the Democratic portion of the senate. The reason being is because the speed cameras have been seen has highly effective in reducing the speed of the cars in the area. 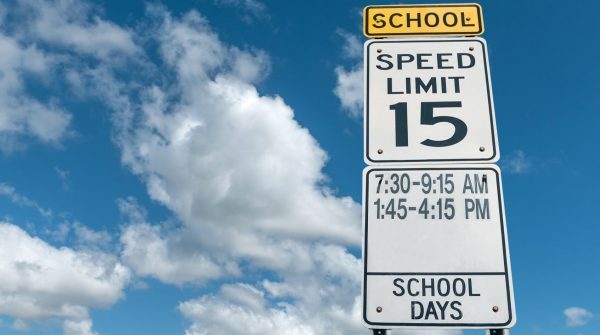 In fact, “speeding violations in school zones have dropped by 60 percent in areas where the devices are located.” This kind of data gives the speed cameras more reason to stick around. Which has also been in discussion with some senate members. There’s been speculation of an added session to discuss what needs to be done to extend the camera program. However, like most things in senate, it could be far-fetched. Republican senate members are pointing the blame at lack of priorities and communication on the democratic side. Which tends to be the standard strategy for most bureaucratic institutions. At the end of the day, the political parties in senate aren’t suffering. The real victims in this situation are the children.